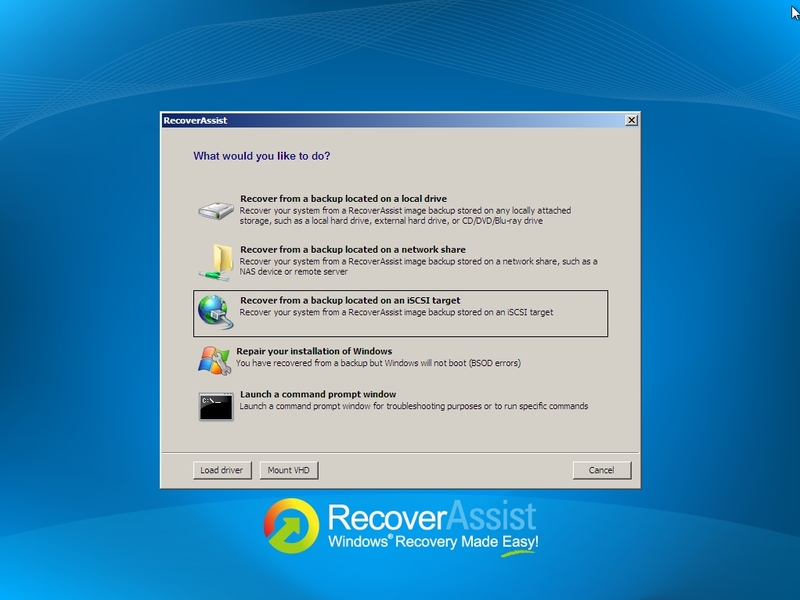 After some further testing of the BackupAssist v6.4 beta I decided to try recovering my image backup using RecoverAssist and the “Recover from a backup located on an iSCSI target” option. 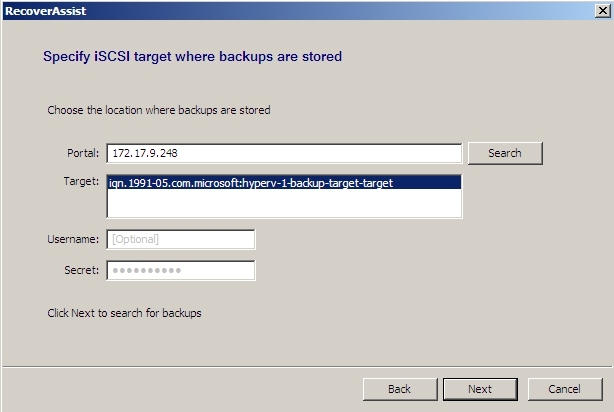 At this point I was unable to see any iSCSI targets on the iSCSI portal server. 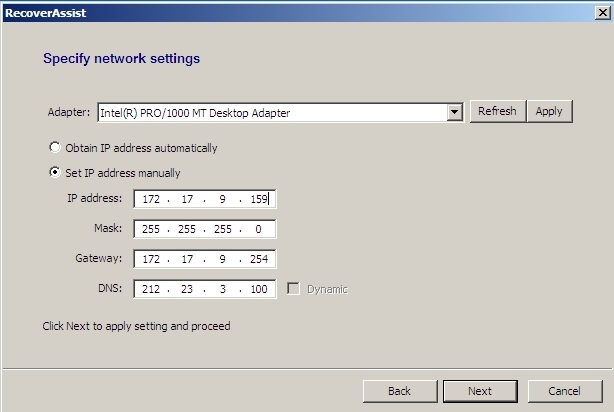 I could enter the IP address of the iSCSI server and search for targets but none were returned, instead it was simply left blank. After a quick email conversation with the Beta support team (much thanks to a super fast response from Dave Wharton), it was clear that the issue was actually down to the security settings on my Windows iSCSI Server. 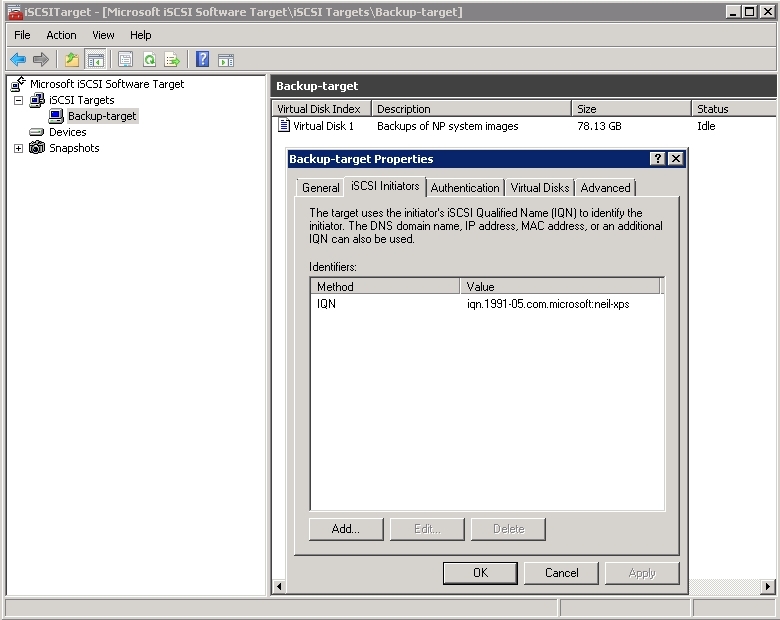 The problem was that by default this iSCSI target was only assessable by a specific IQN (iSCSI Qualified Name) effectively banning all access to the target apart from the original server that used it. 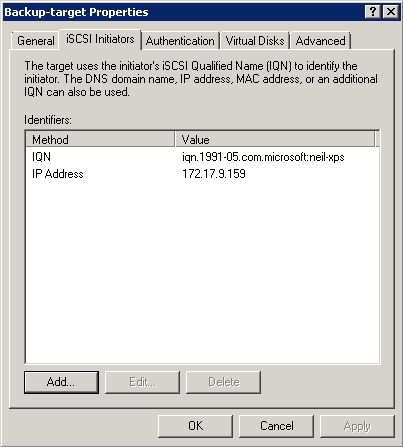 A simple fix was to add access from a specific IP address rather than another IQN – I choose a valid IP address that I could assign to RecoverAssist and added it to the iSCSI initiators list. ..and the target now appears fine allowing me to continue with the restoration. I hope that saves you some time!